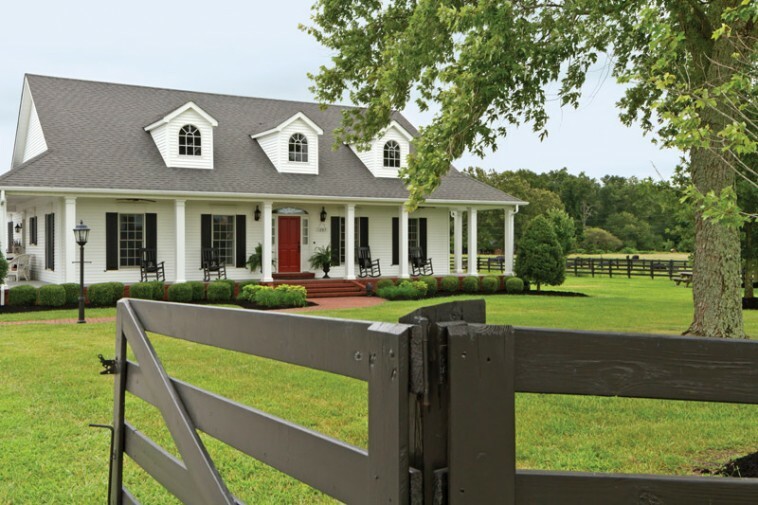 I wanted to share with you this beautiful farmhouse that is featured in our latest Southern Lady Classics issue, Southern Style. I hope it will inspire you to pursue a home full of life and style! 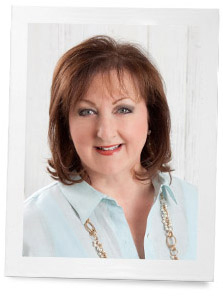 And if you’re a fan of the Southern Lady Classics collection, you’re in luck. 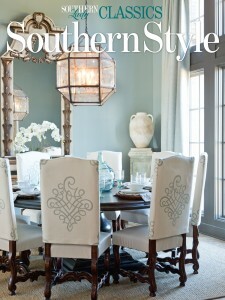 Southern Lady is now offering a subscription to the six special collector’s issues produced each year. Each magazine is chock full of home decor, recipes, entertaining ideas, and seasonal inspiration! 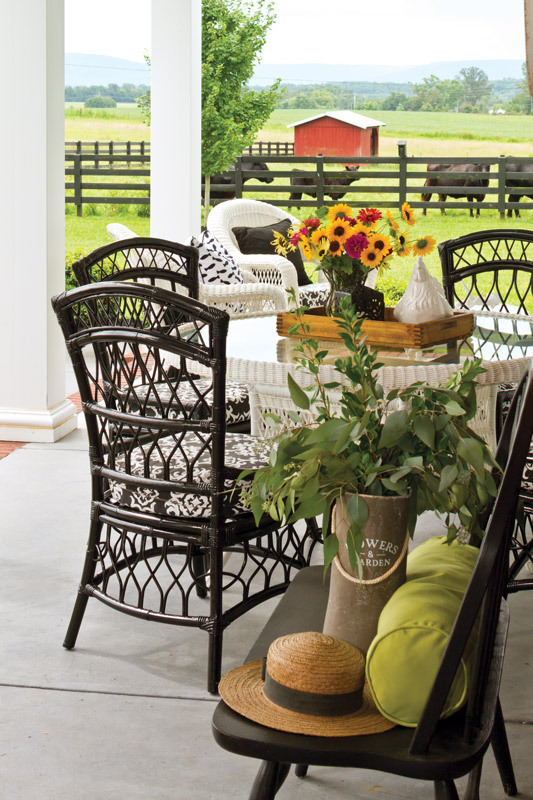 Designer Eric Ross struck a balance between beauty and utility when he started work on this Morrison, Tennessee, farmhouse. Owners Debbie and Joey Jacobs wanted a home that would live up to minding a farm and raising cattle. The inspiration started with durable slate floors to camouflage the dirt tracked in with a typical day’s work of gardening and tending the herd. The final look was a fresh blend of American and French country. With a kitchen done in a palette of chocolate browns, creams, and verdant hues, collections of Spode Woodland china and transferware appear right at home. “Debbie is an avid collector,” Eric says. “Having the open shelves offered her an opportunity to display a lot of collections.” The shelves also made the small space feel more expansive. To balance the cabinetry and make the kitchen appear larger, Eric found an antique hutch to place along an opposite wall. Eric explains. “Joey is an executive who has found working on a farm sort of therapeutic.” With plenty of functional element incorporated into the timeless design, this farmhouse offers a tranquil respite from the Jacobses’ busy lives. Would love to know where the beautiful farmhouse sink came from I’d love to put one in my kitchen. Would like to know the house plan used for this home. Lovely classic. Gorgeous porch. Picturesque. 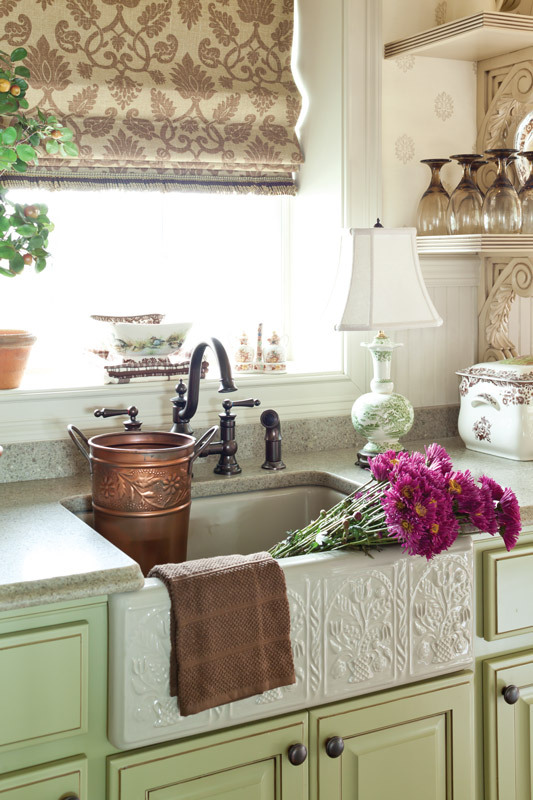 Oh, that beautiful farmhouse sink makes my heart sing! Thank you for sharing this beautiful home with us! This is lovely, but I am not familiar with the Southern Lady Classics collection. What titles does it consist of? Is each issue a Southern Style issue? Thank you. The perfect mix of cozy and elegant…I wouldn’t leave that front porch! Truly a liveable home with lovely vistas. Love the name of this magazine. I never find it in my neck of the woods and already subscribe to three of your magazines. Would love a gift of this magazine. Every photo is eye candy! 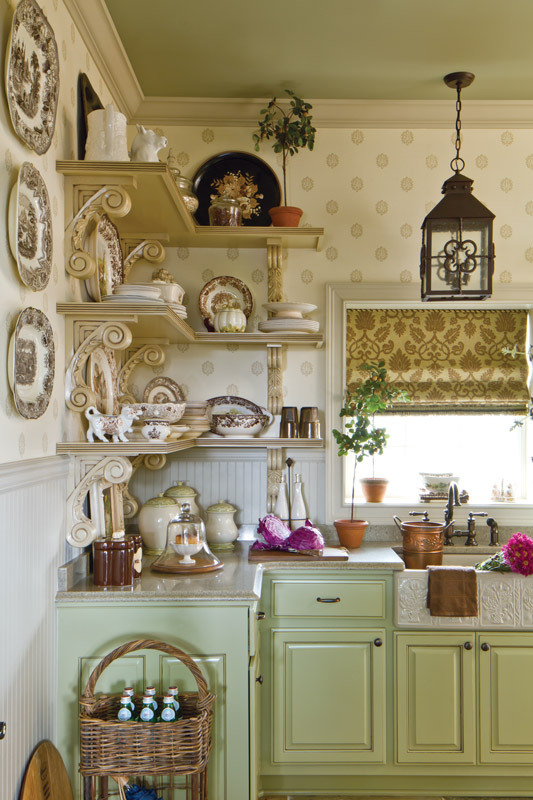 Love, love, love this home, especially that farmhouse sink. I love the mix of black and white on the porch, looks great! Nice job with cushion choices. Now I know which magazine subscription, to send to my daughter in law, thay live in Tennessee, this might be up her ally.. I love everything about this home….inside and out!! I love, love, love, the Red door on this house. And the porch setting looks so beautiful. It looks so welcoming. That apron sink is gorgeous. And the porch looks like a great place to sip a drink (lemonade? rosé?). I love the colors chosen in the kitchen. The sink is beautiful with the decorative front. I love everything about this place. Wish I had the porch on my home. Simply Lovely, every asspect. The farm house sink is amazing.